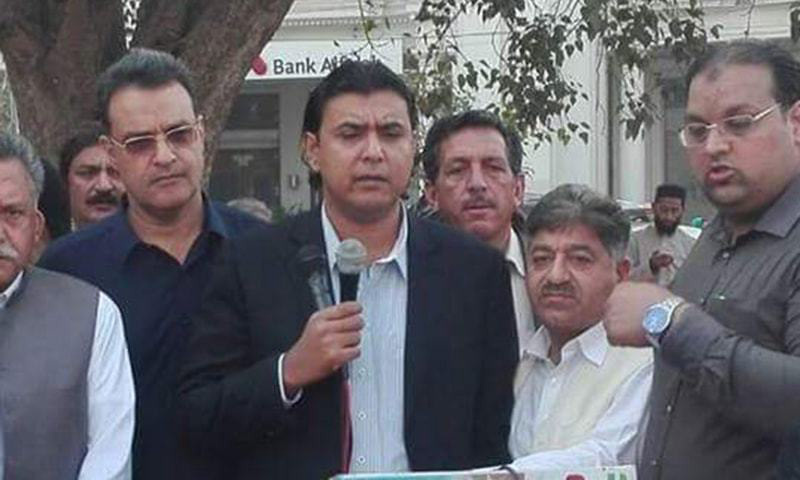 Senator Mustafa Nawaz Khokhar, the spokesperson for Pakistan People’s Party (PPP) Chairman Bilawal Bhutto-Zardari, was granted pre-arrest interim bail by a sessions court in Islamabad on Thursday along with PPP Islamabad chapter president Raja Shakeel. On Wednesday, the Secretariat Police Station registered a First Information Report (FIR) against Khokhar, Shakeel as well as 20 others for alleged rioting and attacking police officials during Bilawal and Asif Ali Zardari’s appearance before NAB Rawalpindi earlier the same day. Scores of charged supporters gathered outside the bureau’s office on Wednesday to receive their leaders had scuffled with security personnel. The PPP claimed dozens of its workers were arrested and 10 suffered injuries as police cracked down. Law enforcement officials said six of their personnel were injured as protesters threw rocks and scuffled with the security. Having secured bail for himself, he said the dozens of arrested PPP workers sent to Adiala Jail will have their bail applications heard tomorrow. The PPP chairman’s spokesperson also accused Minister of State for Interior Shehryar Afridi for threatening “state coercion” during Bilawal and Zardari’s next appearance at the NAB office. He claimed that workers from across the country will come “to express solidarity with their leaders” in their next appearance before the accountability courts. “[PPP] workers from across the country will respond to state coercion through democratic means,” the senator said, adding that the government can “try” to use state coercion and strength against the people. “We respect the institutions but we are not ones to bow in the face of pressure,” he said.